Super Sun Spring Hose – We are a trading company of industrial products. 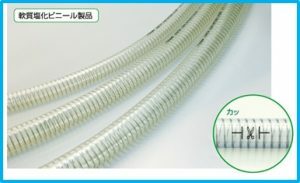 With hard steel wires put inside, this hose withstands to decompression, which is appropriate for vacuuming applications. 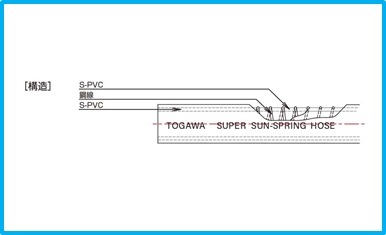 Superior in transparency, this hose is appropriate for piping of operating oil. With steel wires put inside, this hose can be used as a ground wire for conveying powders etc.